The REIV reported 1219 properties auctioned this weekend versus 870 last week and 1413 for the same time last year. The clearance rate was 70% which is steady compared to last week’s result of 71% and less than the 81% recorded last year for the same time. Melbourne’s auction clearance rates have been solid but this could be attributed to low stock levels, we have now seen a significant change this weekend. A significant increase in stock levels this weekend has reduced the number of bidders at auction and seen a marked increase in properties being passed in at auctions. 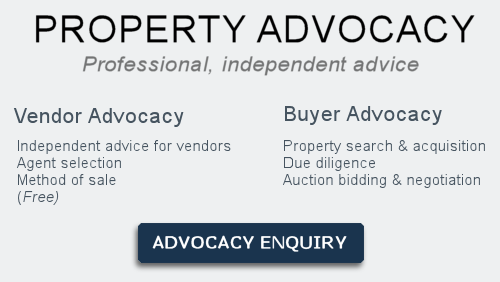 Many agents are reporting auctions where only one bidder was present resulting in post auction negotiations. Properties priced above the $2mill mark appear to be hit hard with bidder numbers drying up. Stock levels are expected to stay high until the 24th of March, then we expect a significant drop off for the two week Easter Holiday period. Conditions for buyers appear to be the best they have been for some time. Late last year we saw a rush to the exit doors by vendors trying to sell their properties before Christmas. We have now seen this stock surge occur in Melbourne the last two consecutive Spring seasons, people leaving the selling of their homes to the last minute. What happens? Too much stock, all on at the same, time causing a correction in prices. Those vendors who missed the boat selling last year have jumped on the band wagon this year which in turn is seeing record stock levels come on the market creating ‘Super Saturdays’ and an oversupply in certain areas, this the market we are currently in. What it means for vendors is a lot of pain especially at the top end, parts of the inner city are patchy however this is very much dependenet on stock levels and quality of stock. Outer suburbs appear to still be in demand and are experiencing what I call the ‘ripple effect’, upgraders with ‘inner city money’ are pushing prices up by moving further out. The time it takes for outer suburbs to see the current correction in house prices is usually six months. Does this mean that the Melbourne and for that matter the Sydney market are have turned the corner and heading for a downturn? No, there may need to be some adjustments made by motivated sellers but I see both markets continue on a steady trajectory rather than any extraordinary growth or catastrophic fall. Over the next four weeks we expect to see 1,000 plus auctions each weekend (up til the 24th of March) as vendors try and beat the April school holidays. Those with unique/A Grade properties and have engaged a savvy real estate agent/advocate by their side will manoeuvre their way to a successful sale, however like many current vendors are experiencing at the moment, a passed in auction may be what sellers face over the coming weeks. For every negative there is a positive, I see these next four weeks as an excellent buying period provided the ‘right’ property is available. It could possibly the best buying market we have seen for 12 months. Come May, June and July later this year I expect stock levels to again start to dry up, preventing further deterioration in house prices and creating some stability. 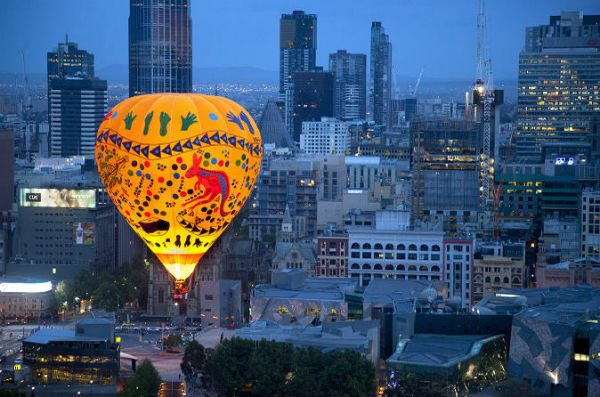 In a recent study released by research house Corelogic last week, Melbourne surpassed Sydney and claimed top spot as Australia’s city with the highest capital growth for property at 335 per cent versus 239 per cent. Over the last five years though Sydney prices, grew the most strongly, rising 64.4 per cent as opposed to Melbourne which only grew 56.4 per cent. These are big numbers and reinforce why so many people in Australia are obsessed with buying property, from an ownership and investment point of view. According to Mr Kusher from Corelogic there could be a change ahead, “With values now starting to decline in many regions it is reasonable to expect that, like the five year period to January 2008 these markets [Sydney and Melbourne], may underperform the national and capital city benchmarks”. An important rule to remember is to never try and speculate and ‘pick’ the market. Buying and selling in the same market will reduce the risk of prices rising against you once sold. And, most importantly buying a property should be a long term strategy at least for a period of 10 to 15 years, one cycle. Today we are seeing times when speculative strategies touted by spruikers usually come undone. People buying Off The Plan property in their SMSF or investors using Interest Only loans to buy cash flow positive properties poorly located. Good sound advice, buying good property in quality locations should be your number one priority. If you are thinking of buying or selling email or call me for a FREE chat over the phone or in person. A big Congratulations and Thank You to our vendors Danny and Frank who sold their mother’s property over the weekend in Fawkner.